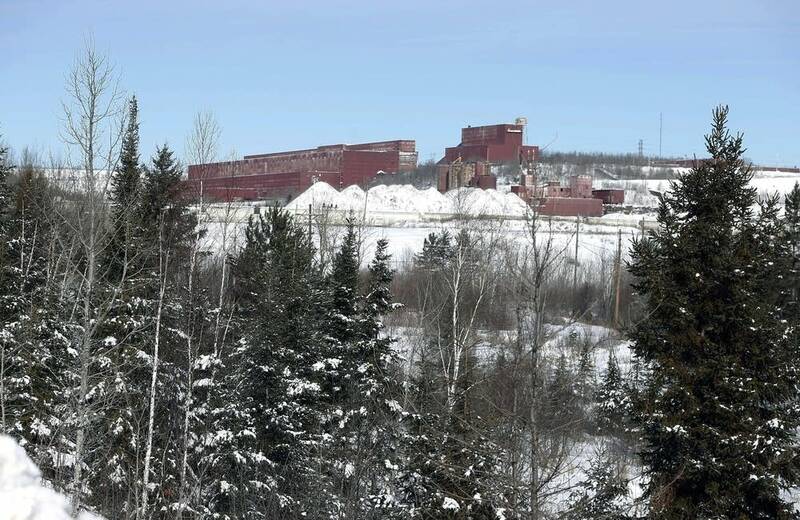 Updated: 3:30 p.m. | Posted: 9:10 a.m.
PolyMet Mining Corp. has received the final permit it needs to proceed with building Minnesota's first copper-nickel mine, the company and the Army Corps of Engineers announced Friday. The Corps said it issued the permit late Tuesday. It deals with the steps PolyMet must take to mitigate the project's effects on wetlands. The announcement said the project will impact 500 fewer acres of wetlands than PolyMet's original proposal. "We are confident that we have identified an appropriately balanced alternative and proffered a permit that will allow access to an important mineral resource, while maximizing protection to natural resources including wetlands," Col. Sam Calkins, commander of the Corps' St. Paul District, said in a statement. In a separate statement, PolyMet called it a "historic achievement" that will let it move forward with Minnesota's first copper-nickel-precious mine. "It's a really big day for us," spokesman Bruce Richardson said. PolyMet and its supporters say the projects near Hoyt Lakes and Babbitt would create hundreds of jobs in northeastern Minnesota. Environmentalists have long fought the project because the vast but untapped reserves of copper, nickel and precious metals underneath the region are in the form of sulfide minerals, which can leach sulfuric acid and other toxic chemicals when exposed to the environment. They've also raised questions about the safety of the dam that will hold back the project's mine waste pond. Minnesota regulators issued the other key permits for the project last year. But the mine still faces litigation that could hold it up, including challenges to its state-issued permits before the Minnesota Court of Appeals and lawsuits pending in federal court that seek to void a land swap between the company and the federal government. Polymet's critics denounced the final permit. The Minnesota Center for Environmental Advocacy tweeted that it will lead to the largest permitted destruction of wetlands in Minnesota history. "Nearly a thousand acres of irreplaceable wetlands will be destroyed, and thousands of acres will be adversely impacted by PolyMet's toxic copper-sulfide mine. This is an unacceptable degradation of the headwaters of Lake Superior and must be stopped," said Lori Andresen, president of Save Our Sky Blue Waters, said in a statement. Companies are required by law to replace wetlands they destroy. In this case, PolyMet is buying 1,278 credits from the Lake Superior Wetland Bank to offset the approximately 900 acres that would be lost. Besides contributing to water quality downstream from the mine, wetlands also play a role in climate change. Wetlands sequester greenhouse gas emissions over time, and destroying them releases greenhouse gas emissions. Environmental groups are concerned about how long it would take for replacement wetlands to make up for the emissions. While a lot of site preparation work and planning for final engineering and construction work is underway, Richardson said PolyMet's focus now shifts to raising the $945 million it needs for construction financing. That process could take several months, he said. The financial work also includes paying off debt coming due to PolyMet's largest investor, Swiss commodities giant Glencore AG. PolyMet's statement also announced an agreement with Glencore on how they'll proceed with that. "We would not be where we are today, we would not have these permits, without the support and backing of Glencore," Richardson said. "This agreement shows that they continue to support and have confidence in this project." Jobs for Minnesotans, a group that supports the project, said it will help diversify northern Minnesota's economy, which has seen the iron mining industry shrink over the years. "I think why this particular project is so important is that it demonstrates that we can also responsibly mine copper and nickel and other strategic metals, which opens up an entirely new market," said Nancy Norr, who chairs the group's board. MPR News reporter Elizabeth Dunbar contributed to this report.